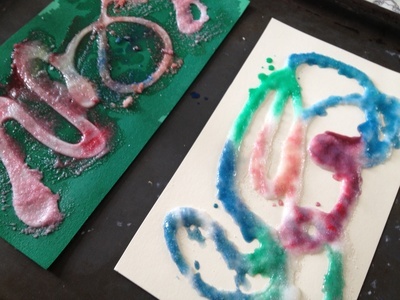 This activity is all about the process and creation and less about the end result. It's quick and easy to set up, kind on your wallet and best of all, fascinating for preschoolers. 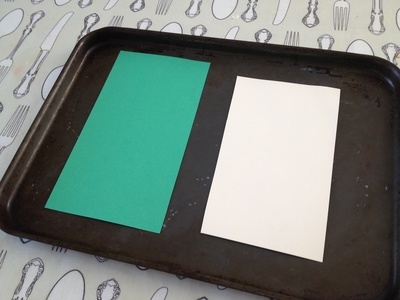 Place card in a baking tray to stop the salt going everywhere. We used two pieces of card, experimenting with one light and one dark colour. 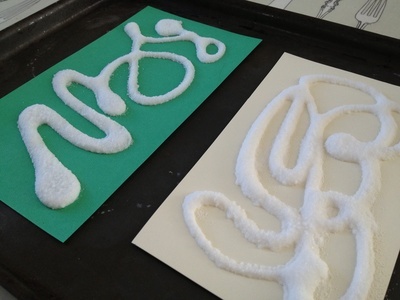 Squiggle out a design in glue. 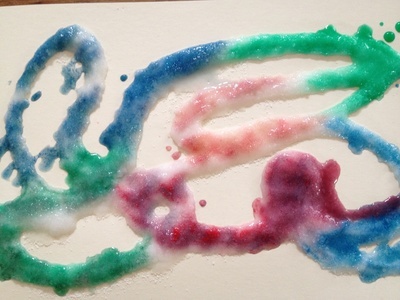 Regular school PVA glue works well. Pour salt all over the glue. 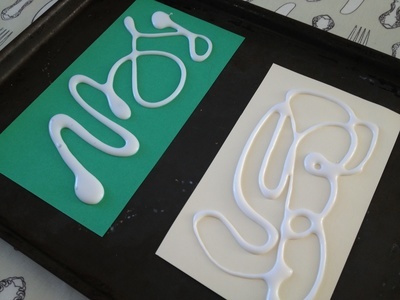 We were heading off on a play date so left the glue to dry and carried on with the activity later. 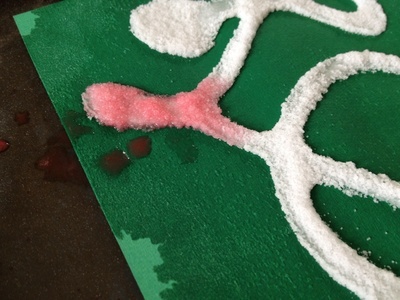 Tip the card into the tray to remove excess salt. 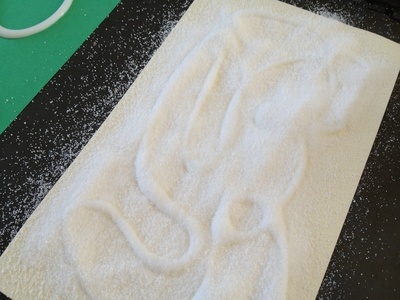 Drip paint onto the raised salt squiggles. Watch the colour spreading. Try different colours.